Prevent split ends from happening with these tips. We’ve all been there—bored in class, on the commute to work, between TV commercials—absent-mindedly inspecting our hair, wondering when our last haircut appointment actually was. And, looking at those frayed ends, the answer is always the same: too long ago. We’ve all been taught to go in for regular trims to avoid split ends and help our hair look healthy, but the reality is that a lot of us refuse to part with even just a few inches, especially when on the quest for long, luxurious locks. So, what’s a budding Rapunzel to do? Should we just chalk up having lush mermaid hair as a pipedream of our youth? Easily spot damaged ends while you’re brushing. Yes, six to eight weeks, and yes, even if you’re growing out your hair. Or, if you’re being really stubborn about your length, get a trim as you transition into each season—think of it as Spring Cleaning for your tresses. It’s also a prime opportunity to subtly update your look with the latest seasonal hair trend, too. 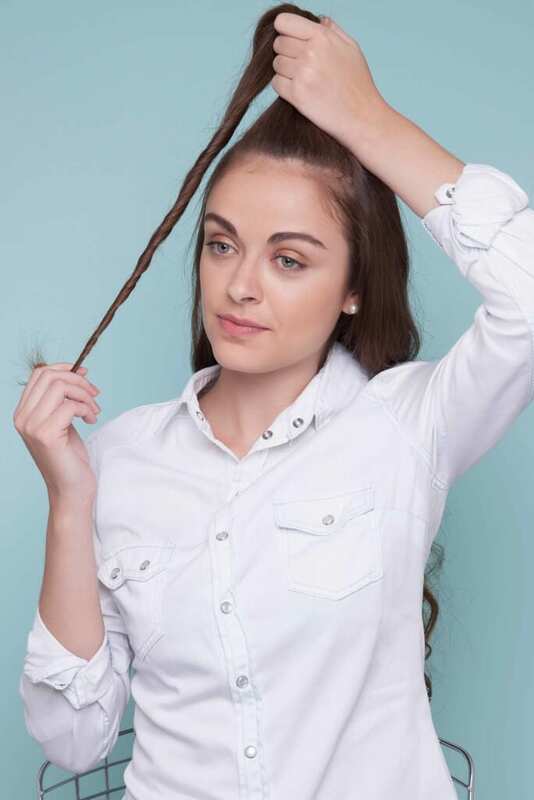 Good to know: A no-nonsense trim usually lops off around one to two inches from your ends, depending on your hair’s present condition (and considering hair grows only around six inches a year, that can seem like a lot!). That said, growing hair out can indeed feel like a frustrating, one-step-forward-two-steps-back process, especially if you’ve been delinquent with care, cut and color in the past. So unless you’re ready to deal with your karma in the form of some cutting shears, prevention is the best cure. 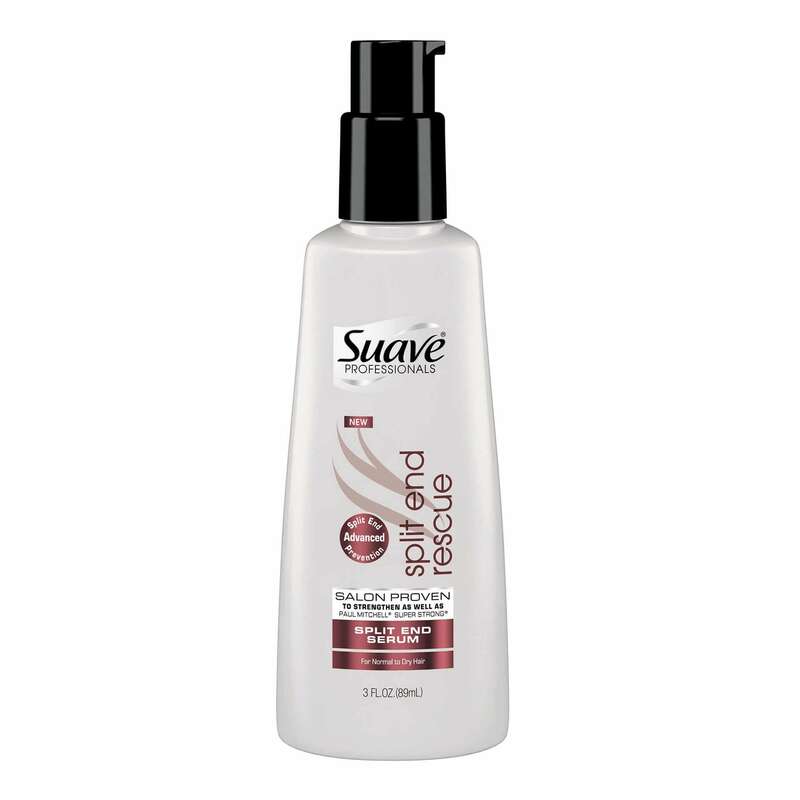 Investing in a serum that’s specially formulated to prevent frayed ends, like Suave Professionals Split End Rescue Serum, can help you avoid split ends—and all the bothersome troubleshooting that comes with dealing with them. You can also gently run a finger upwards the twist to release any frayed ends. This will help you easily clean up the sides of your twist. Many hair stylists employ this quick and easy trick that, good news, doesn’t entail cutting off too much length at all—just a tiny amount that resembles—you guessed it!—dust. A great technique to help you to avoid split ends (and for when you’re in between trims) but feel your locks need some cleaning up (like after a weekend at the beach, or before a big event), it employs sectioning hair into taut, tightly twisted ropes and running cutting shears over the little baby strands that splay out. This means that only the frayed, damaged tips end up, as they say, on the cutting room floor, and your length more or less remains the same. Best left to a professional at first, it’s also simple enough to learn to do on your own in a pinch. 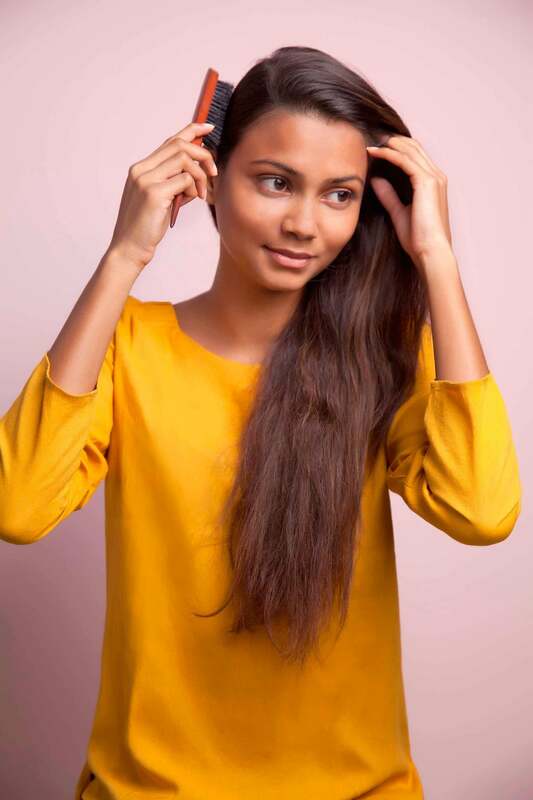 If so, do heed the basics: After washing your hair, divide damp strands into sections are around 2” thick, and set all but one section aside with duckbill clips. Working on your free section, twist it till taut and skim your cutting shears on the strands that are sticking out of the main twist. Release the twist, and repeat the process on your remaining sections. Finally, never underestimate the power of a consistent, all-day conditioning. A leave-in conditioner that helps transform up to 92 percent of damaged ends, such as Nexxus Promend Targeted Leave-In Crème, makes for good reinforcements and helps you avoid split ends in the future. We do a split-end deep dive here. Do You Really Need a Separate Shampoo for Gray Hair?